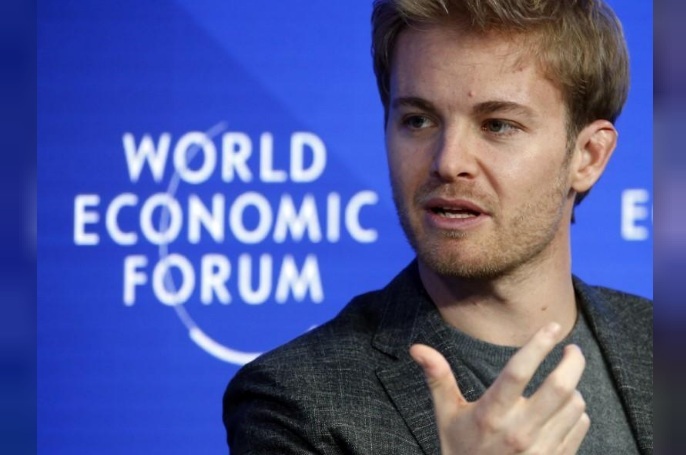 FILE PHOTO: Former Formula One driver Nico Rosberg of Germany attends the World Economic Forum (WEF) annual meeting in Davos, Switzerland January 20, 2017. LONDON - Retired Formula One world champion Nico Rosberg hailed his former Mercedes team mate Lewis Hamilton on Saturday for a ‘supreme’ performance in Japanese Grand Prix qualifying. The Briton is 34 points clear of closest rival Sebastian Vettel, of Ferrari, with five races remaining and clear favorite for a fourth crown. “That’s what Lewis has managed to do for quite a while now... and that’s what’s brought him this huge lead, and why everything is in his favor at the moment to take this thing home all the way to the end of the season,” he said. Retired Formula One world champion Nico Rosberg hailed his former Mercedes team mate Lewis Hamilton on Saturday for a ‘supreme’ performance in Japanese Grand Prix qualifying.